A proper late-night snack straddles a peculiar world between dinner and breakfast. Straddling that line are Michael Chernow and Daniel Holzman of the Meatball Shop with their Late-Night Breakfast Sandwich, which debuted this week on Late Night with Seth Meyers. It's dubbed—with characteristic snark—a "bacon, egg and cheese with balls" (as if a classic breakfast sandwich doesn't have the cojones). The filling. Chef Holzman devised a breakfast sausage meatball (tastes like sweet, spiced breakfast sausage; looks like a ball), which would be meaty enough for most sandwiches. 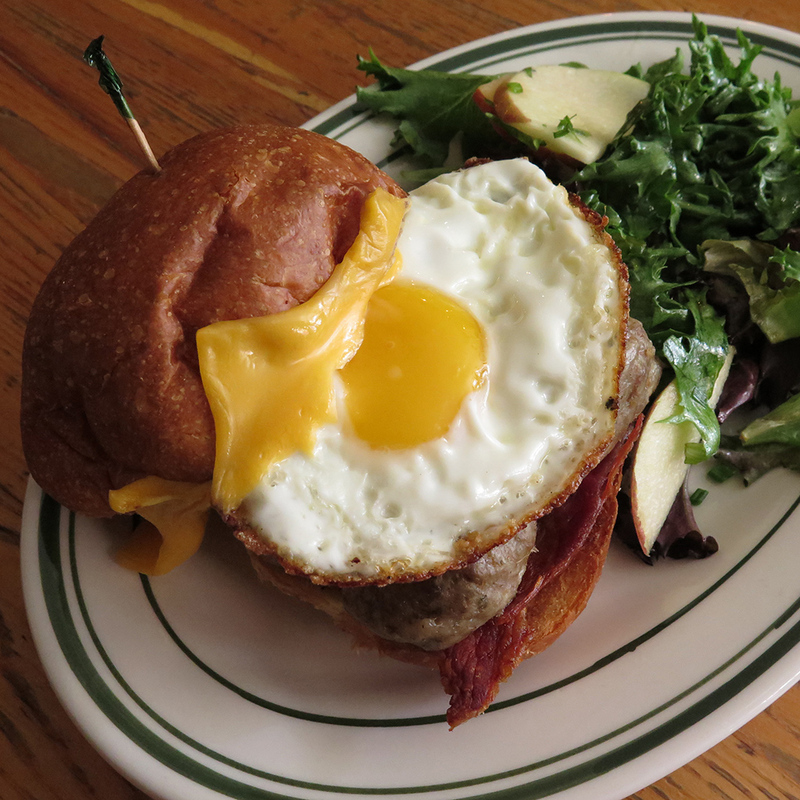 But Holzman adds bacon and American cheese, then a fried egg for good measure. The bread. A soft, squishy brioche bun that's easy to sink your teeth into and sturdy enough to hold up a whole brunch of balls. Check clips below of one of the only sandwiches to get a network television debut.